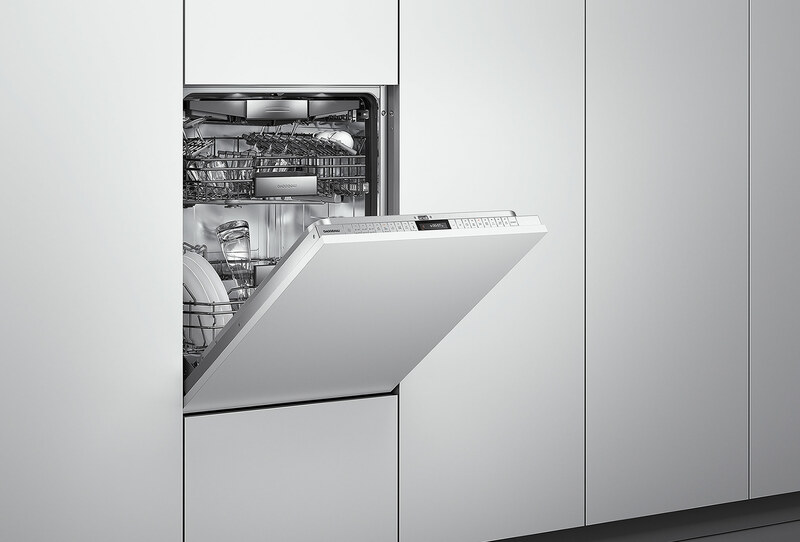 With a push-to-open feature that eliminates the need for hardware, this dishwasher integrates seamlessly into cabinetry. Its LCD control panel is tucked away for a sleek appearance. This oven reduces cook times by up to 30 percent with combined microwave and convection functionality. At just 24 inches wide, its small size also keeps preheat time to a minimum. Bosch’s 24-inch-wide entry into the compact category comes in tempered white glass (pictured), black glass, and stainless-steel finishes with hidden hinges and a handle-less design. This scaled-down cooktop—which features four gas burners offering a range of BTU levels—is part of Haier’s collection of appliances focused on small spaces and urban living.